Los Angeles, CA - Who do people say I AM? 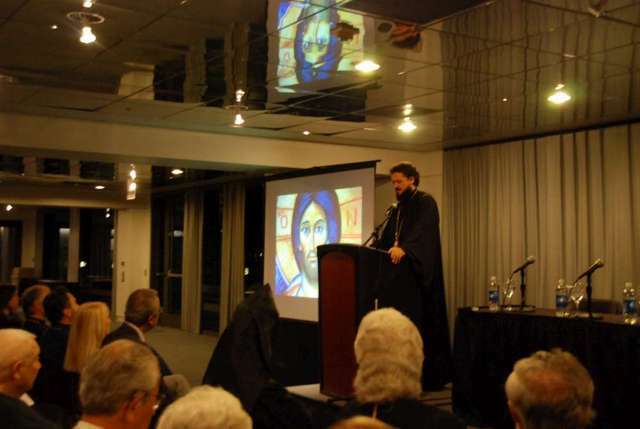 A symposium on Chalcedon's Christology in the postmodern world was held at the Loyola Marymount University in Los Angeles on Thursday, March 19, 2009. Two Orthodox Christian hierarchs offered the Orthodox response: His Eminence, Archbishop Hovnan Derderian of the Armenian Church, Western Diocese; and His Grace, Bishop Maxim of the Serbian Orthodox Church, Diocese of Western America.